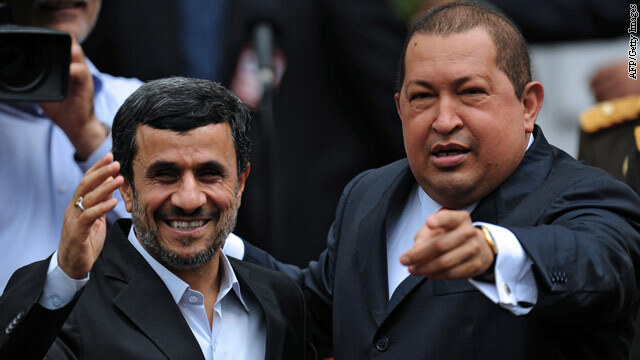 Iranian President Mahmoud Ahmadinejad and Venezuelan President Hugo Chavez in Caracas on Monday. Iran: What's it up to? Just what is Tehran up to? 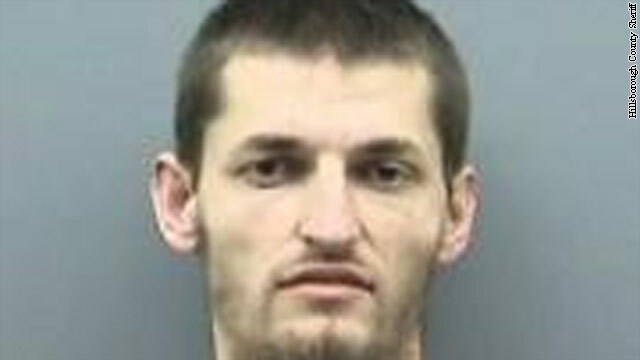 It sentences an Iranian-American to death for alleged spying. Announces it's begun enriching uranium at a heavily fortified underground facility. Threatens to close the Strait of Hormuz, sending shivers down the spine of world oil markets. President Mahmoud Ahmadinejad jets off to Latin America, visiting countries that love to take pot shots at the United States. Iran's announcement that it has begun enriching uranium at an underground facility doesn't come as a surprise to nuclear security experts, but it does worry them that the program moves Tehran one step closer to developing a nuclear weapon. "They announced last summer that they were going to do this," said David Albright, president of the non-profit Institute for Science and International Security in Washington. "It's part of this gradual process that I think shows Iran is on their way to developing nuclear weapons." Iran says some 3,000 centrifuges are in operation at Qom, with an additional 8,000 machines capable of enriching uranium at its Natanz facility. 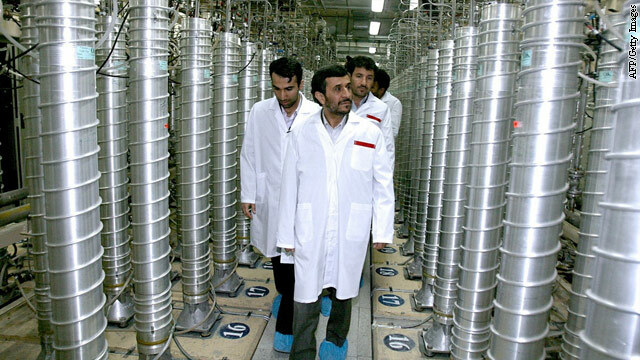 Iranian President Mahmoud Ahmadinejad visiting the Natanz uranium enrichment facility, 270 kms south of Tehran, in 2008. While rhetoric about Iran’s efforts to develop a nuclear weapon has been at a fever pitch from some Administration and congressional officials as well as Republican presidential candidates, a senior US official tells CNN there is no agreed upon point at which the US would take military action to stop Iran’s efforts. “The precise step at which action might be taken is not defined, it’s a complex set of variables,” the official said. That explanation comes one day after Defense Secretary Leon Panetta said, “our red line to Iran is do not develop a nuclear weapon. 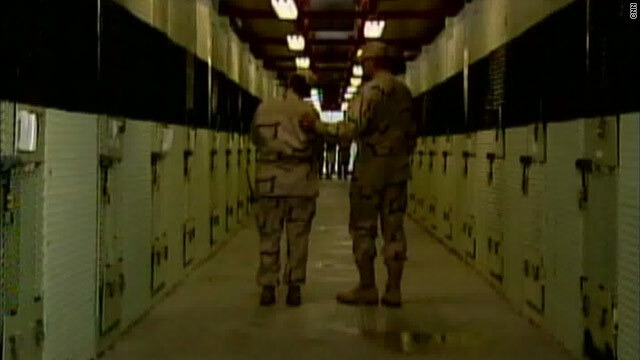 That’s a red line for us,” Panetta made the comments on CBS’s Face the Nation. But defining that red line involves having critical intelligence in hand before Iran crosses any so called red line. It would mean knowing that Iran has taken any number of steps that would put it on the path to nuclear weapons the official said. For example, expulsion of inspectors from the International Atomic Energy Agency would be considered a potentially critical indicator that Iran has made the decision to move ahead with weapons development, he said. Other indicators include a capability to manufacture highly enriched uranium, and the ability to manufacturer critical miniaturization technology for a nuclear warhead. Iran started enriching uranium at a new nuclear facility in the north that is "immune to any military attack," according to a fundamentalist newspaper with ties to the nation's supreme leader. 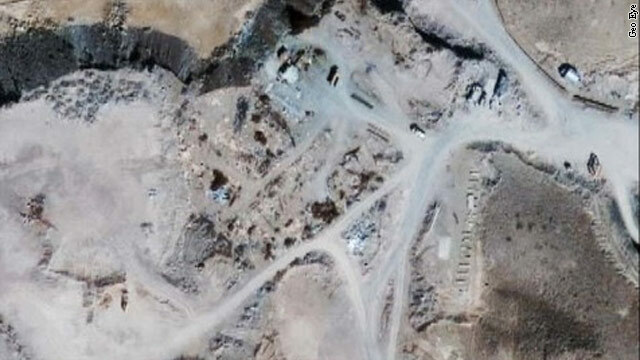 "Based on reports we received yesterday, Iran has begun uranium enrichment at the Fordo facility at the height of the threats by foreign enemies," the semi-official Kayhan newspaper said Sunday. The Fordo nuclear enrichment plant is in the mountains of Qom province, where Iran says it has 3,000 centrifuges in operation. 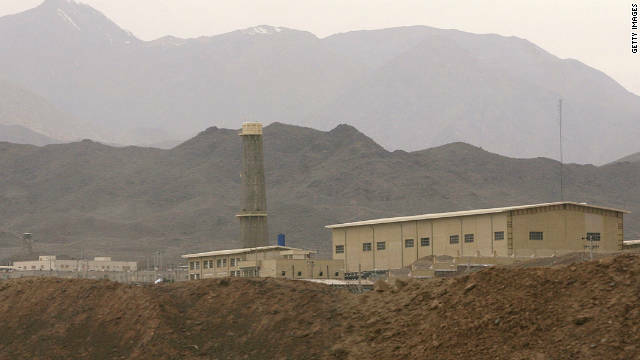 Another nuclear facility in Natanz is said to have 8,000 of the machines enriching uranium. Iran says there's a medical purpose behind the nuclear program. U.S. sanctions hurting Iran's currency "In order to provide medical assistance to 800,000 cancer patients, Iran needs to enrich uranium up to 20% to be able to feed Tehran's (research) reactor that produces the needed radio isotopes," the paper reported. The Iranian government announced in July that it was installing a new generation of centrifuges in its nuclear facilities. At the time, the French Foreign Ministry called the development "a new wave of provocation" that flouts United Nations resolutions. Enriched uranium at low concentrations can be used to fuel power plants, and in extremely high concentrations it can be used to produce a nuclear bomb. Uranium enriched to between 3% and 5% is necessary to make fuel for reactors. Weapons-grade uranium is enriched to about 90%. Iran's development of missile and nuclear fuel technology has led to United Nations sanctions and accusations from Washington that the clerical regime is trying to develop nuclear weapons. Officials in the United States and other Western nations have ratcheted up sanctions against Iran since a November report by the U.N. nuclear watchdog agency said the Iranian government was developing the technology needed to build a nuclear weapon. Last month, U.S. President Barack Obama announced sanctions against Iran's central bank. 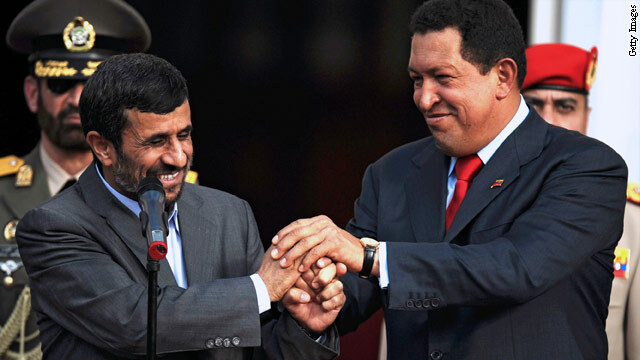 Iranian President Mahmoud Ahmadinejad's tour of Latin America this week comes as questions are being raised about whether the United States is sufficiently focused on the potential for national security threats from Latin America. The trip comes just days after President Obama unveiled a new security posture that puts more emphasis on the Middle East and Pacific, at the expense of Latin America, critics contend. But defense officials insist that even with a pared-down U.S. military, Latin America will not be ignored. "In Latin America, Africa, elsewhere in the world, we will use innovative methods to sustain U.S. presence," Defense Secretary Leon Panetta said of the new strategy. U.S. special forces freshly back from Iraq and Afghanistan will be heading south of the border to maintain the U.S. presence in Latin America, according to Defense Department officials - an example of the "low-cost and small-footprint approaches" Panetta said would be emphasized.